His symphonic works have been performed by over fifty American orchestras, and his genre-defying chamber works have been heard in premiere venues on six continents. His music is regularly broadcast on national radio, including NPR, BBC, and NHK, and has been recorded on labels including DELOS, Sony/BMG, EMI Classics, Koch, Kleos Classics, RCA, Naxos, Pony Canyon, GENUIN, Capstone, MSR Classics, Innova, ARS, Crystal, and Bulging Disc Records. As a composer, his residencies include Mobile Symphony (Meet The Composer Music Alive), Spoleto USA, Bravo! 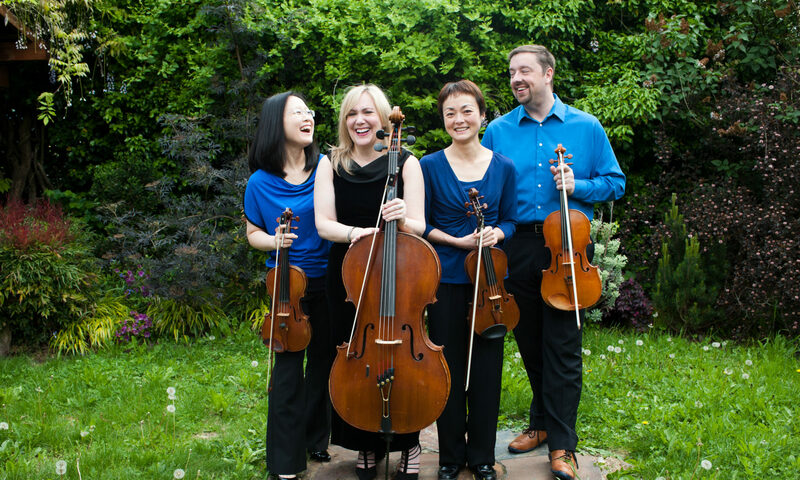 Vail, Sound Encounters, the Chintimini Chamber Music Festival, and the Craftsbury Chamber Players. He also served for two years as the composer in residence for Young Concert Artists, Inc. He has also collaborated extensively in the dance world with renown choreographers David Parsons, Nai-Ni Chen, Kate Skarpetowska, Paul Vasterling, and Darrell Grand Moultrie. Mr. Bunch was recently appointed the Artistic Director of Portland, Oregon-based new music group fEarNoMusic, following a highly successful all-Bunch retrospective performed by the ensemble in April, 2014. Other concerts devoted to his chamber music have been given at the Stamford Music Festival in England, the Perpignan Conservatory in the south of France, and the Landgoedconcerten Oranjewoud Festival in The Netherlands. 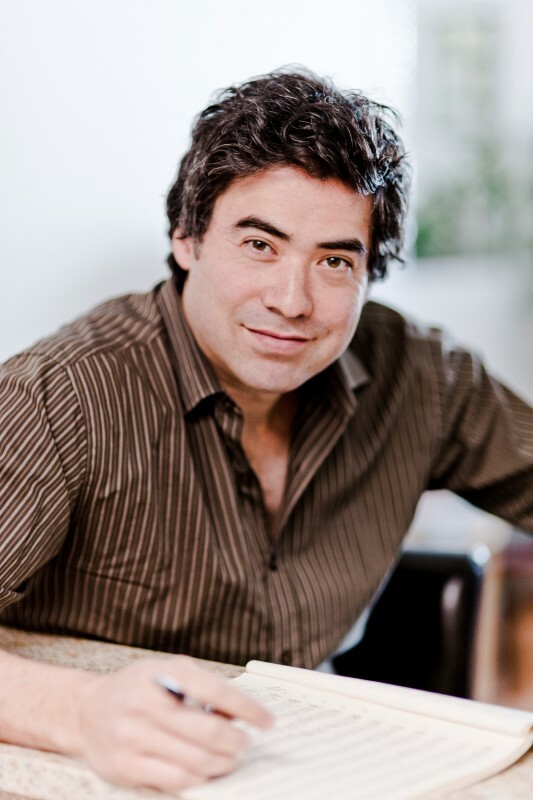 Recent projects include the world premiere of his Piano Concerto ( 2011) with pianist Monica Ohuchi and the Colorado Symphony. In October, 2011, he appeared as the soloist with the American Composers Orchestra in the premiere of his viola concerto The Devil’s Box, in Carnegie Hall. In 2013, electric violin virtuoso Tracy Silverman premiered Embrace, his theatrical “flash mob” concerto, with eight consortium orchestras around the country. That same year, the Alias Chamber Ensemble released “Boiling Point,” a CD of Mr. Bunch’s chamber works on the DELOS label. Mr. Bunch maintains an active performing career, and is widely recognized for performing his own groundbreaking works for viola (recorded on his recent CD Unleashed!). A founding member of the Flux Quartet (1996-2002) and Ne(x)tworks (2003-2011), Mr. Bunch is a veteran of the New York new music world. A multifaceted musician with a deep interest in vernacular American music and improvisation, he also plays bluegrass fiddle and is a frequent guest performer, recording artist, and arranger with many prominent rock, jazz, folk, and alternative/experimental artists. Mr. Bunch studied at the Juilliard School, receiving his Bachelor and Master of Music degrees in viola with Toby Appel, and in composition with Robert Beaser. Upon graduation, he received the William Schuman Prize for Outstanding Leadership in Music, the school’s highest honor. Other composing mentors include Eric Ewazen and Stanley Wolfe. After 22 successful years in New York City, he returned in 2013 to his native Portland, Oregon, where he lives with his wife, concert pianist Monica Ohuchi, daughter Emmaline, and rescued pitbull mix, Coffee. Composer Daniel Ott’s music has been described as “haunting” (News Tribune), “compelling” (Dance Magazine), and “of considerable artistic seriousness” (MusicWeb International). His work has been heard all over the world, most notably at Carnegie Hall, Lincoln Center, the Kennedy Center, Sadler’s Wells, the Musée du Louvre, the Guggenheim Museum, and at the Fall for Dance Festival in New York’s City Center. Recent commissions have come from the National Symphony, New York City Ballet, the Chiara Quartet, and Bargemusic, among others. Noted for his work for dance, Ott has composed a number of ballet scores, most recently for the New York City Ballet Choreographic Institute’s 10th Anniversary at Miller Theatre in New York. In a unique experiment, the resulting work, An Inflorescence, was set to dance by three of the world’s leading choreographers––Larry Keigwin, Alexei Ratmansky, and Christopher Wheeldon––and performed three times in one evening. Ott has also been a frequent collaborator with Benjamin Millepied, from whom he has received a number of commissions. Their Double Aria was described as the “highlight of the night” (New York Times) at its NYCB premiere. Other recent projects have included the premiere of Ott’s String Quartet No. 2 by the Chiara Quartet, as part of their innovative Creator/Curator commissioning series, in which the composer selects the other works to appear alongside his music. Ott’s Blue Water, a chamber concerto for violin, piano, and string quartet, whose music “weaves together images of magnificence and terror” (New York Times), was commissioned for Bargemusic’s 30th Anniversary and premiered by the Shanghai Quartet and guests. An award-winning composer, Ott has been recognized numerous times for his work. He is a 2013 recipient of the Goddard Lieberson Fellowship from the American Academy of Arts and Letters and has also received their Charles Ives Scholarship. In addition, he has been honored several times by the ASCAP Foundation with the Morton Gould Young Composer Award. He studied at the Curtis Institute of Music and the Juilliard School, where his teachers included Ned Rorem, John Corigliano, and Robert Beaser. 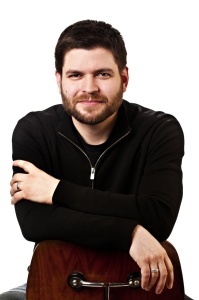 He currently serves on the faculty of both Juilliard and Fordham University, where he is Assistant Professor of Music Theory and Composition. Ott resides in New York with his wife and their two children.